Aaron Gillane 1-5 (0-3frees), Peter Casey and Diarmaid Byrnes (3frees) 0-3 each, Tom Morrissey, Colin Ryan (line-ball), Seamus Flanagan, Darragh O’Donovan (line-ball), Gearoid Hegarty and Barry Murphy 0-1 each. LIMERICK: Nickie Quaid; Tom Condon, Sean Finn, Richie English; Diarmaid Byrnes, Declan Hannon, Dan Morrissey; Cian Lynch, Colin Ryan; Gearoid Hegarty, Tom Morrissey, David Dempsey; Aaron Gillane, Seamus Flanagan, Peter Casey. Subs: Barry Murphy for David Dempsey (54mins), Darragh O’Donovan for Colin Ryan (56mins), Pat Ryan for Peter Casey (63mins). 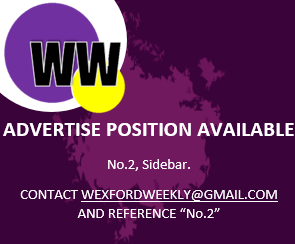 WEXFORD: Mark Fanning; Conor Firman, Liam Ryan, Shaun Murphy; Simon Donohoe, Paudie Foley, Matthew O’Hanlon; Diarmuid O’Keeffe, Jack O’Connor; Aidan Nolan, David Dunne, Kevin Foley; Cathal Dunbar, Liam Og McGovern, Conor McDonald. Subs: Shane Reck for Conor Firman, injured (20mins), Paul Morris for David Dunne (54mins), Damien Reck for Paudie Foley (62mins), Harry Kehoe for Aidan Nolan (62mins). Jack O’Connor 1-5 (4f, 1’65’), C Dunbar 1-0, C McDonald 0-2, P Foley (1f), L Og McGovern, H Kehoe, P Morris 0-1 each.